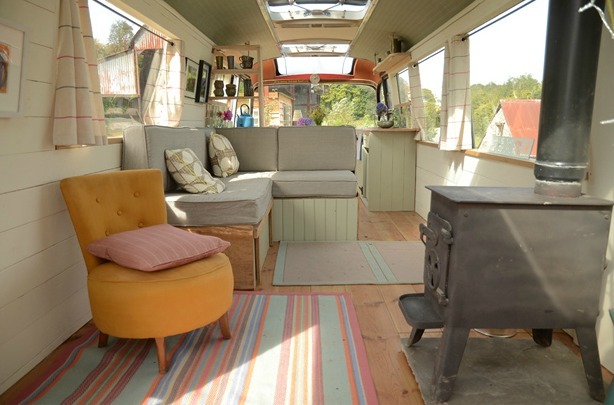 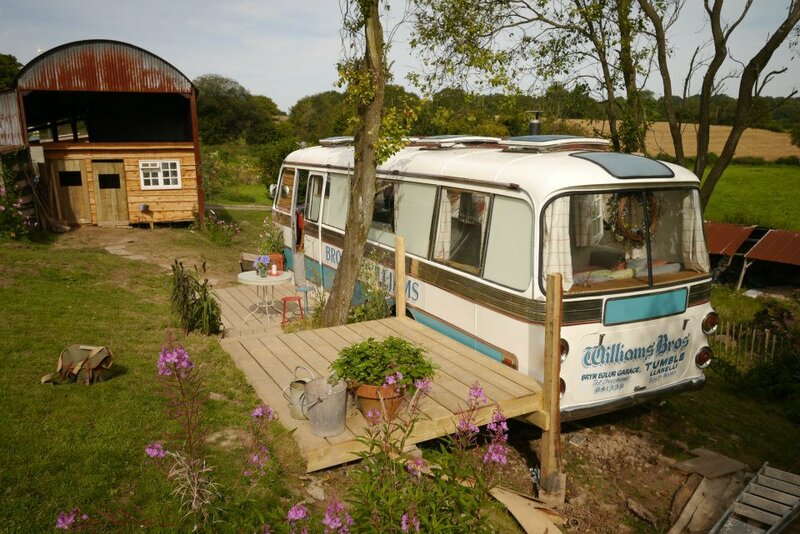 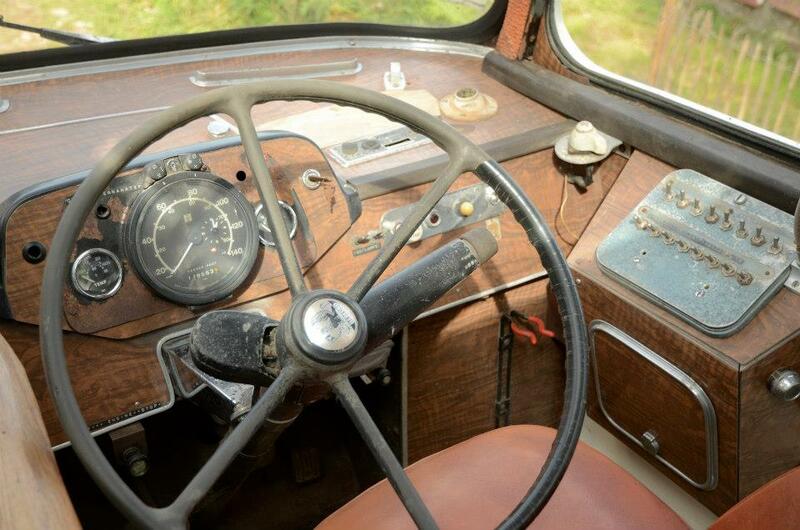 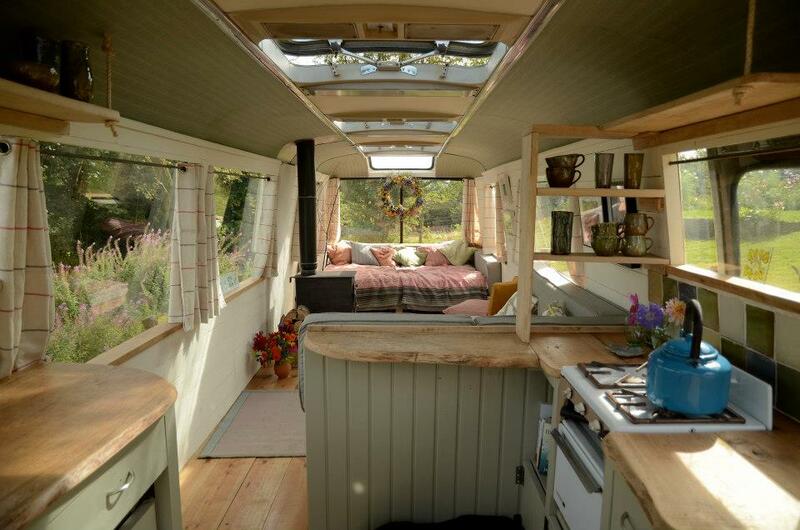 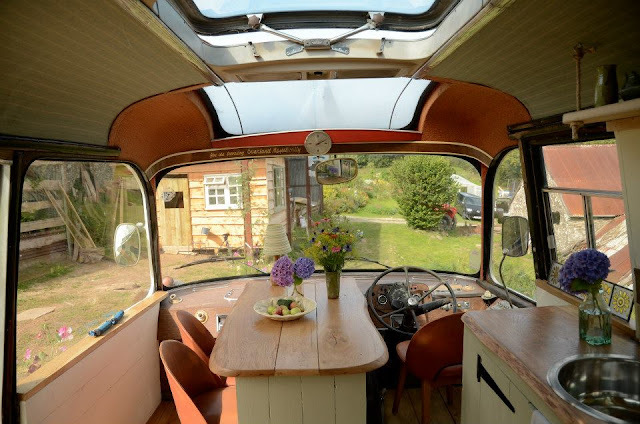 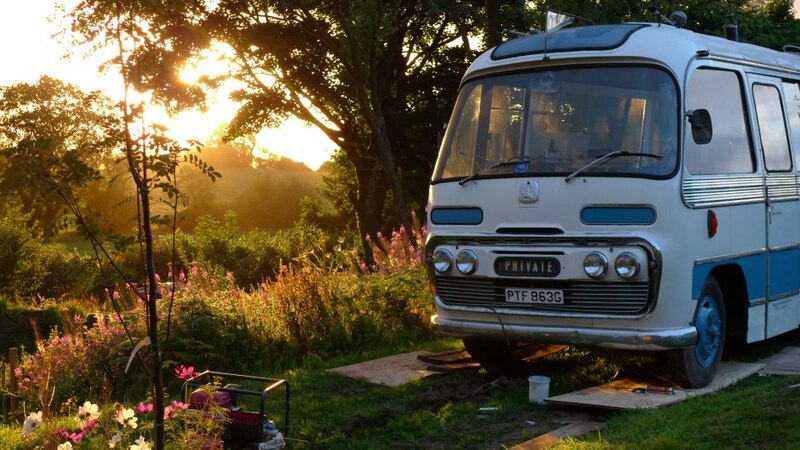 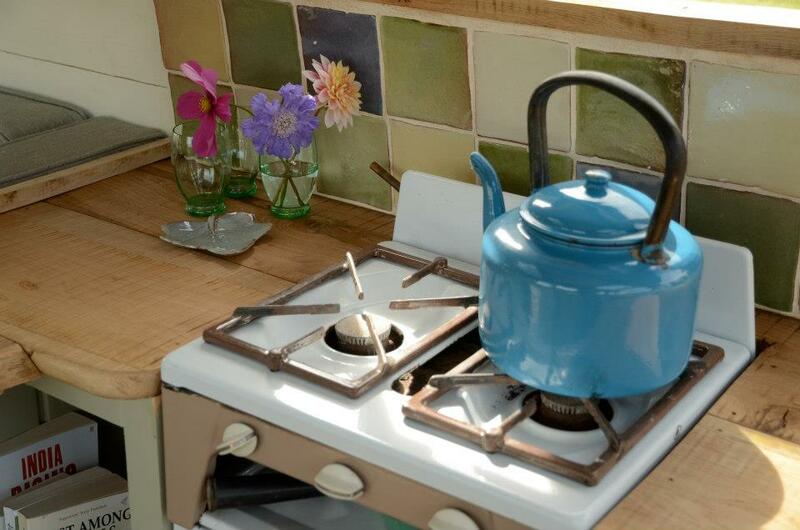 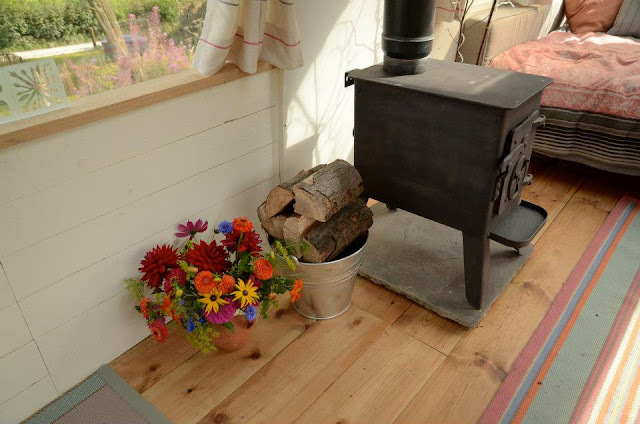 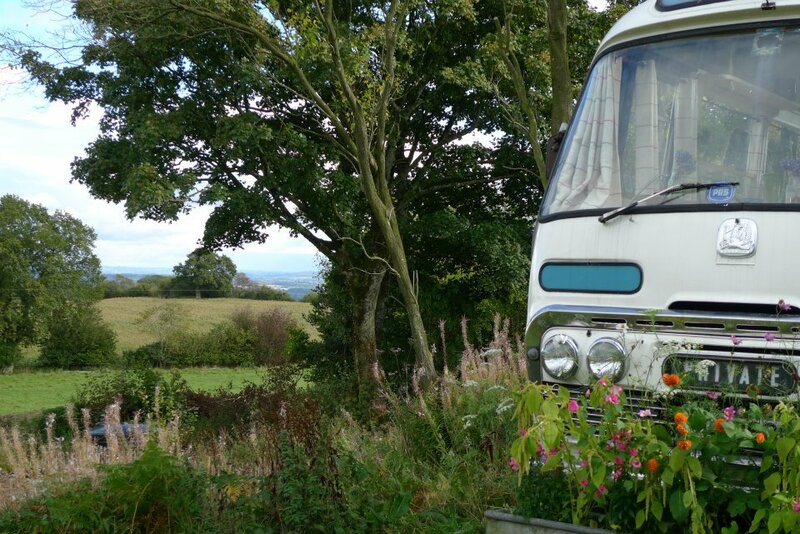 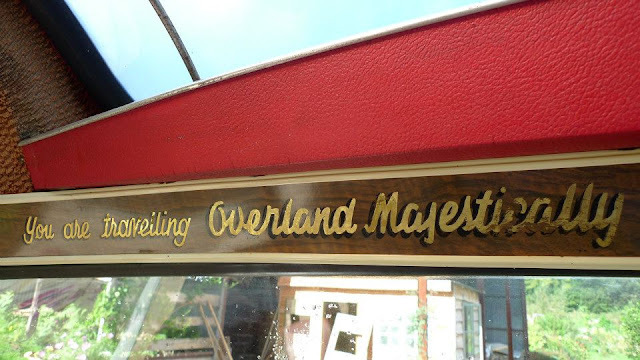 Made from a former bus, the Majestic Bus has been remodeled into a cute, little guest home in Hay-on-Wye, Wales. The home was renovated with wood floors, a beautifully designed kitchen with cabinetry, a gas stove, and a fridge. 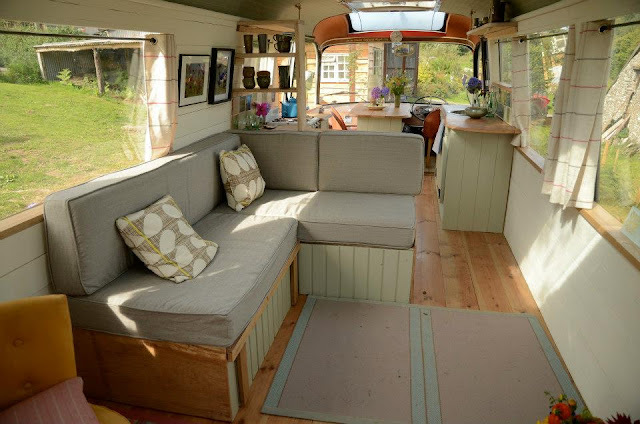 There's a double-sized bed in the home, in addition to an L-shaped sofa that can be converted into an extra bed. 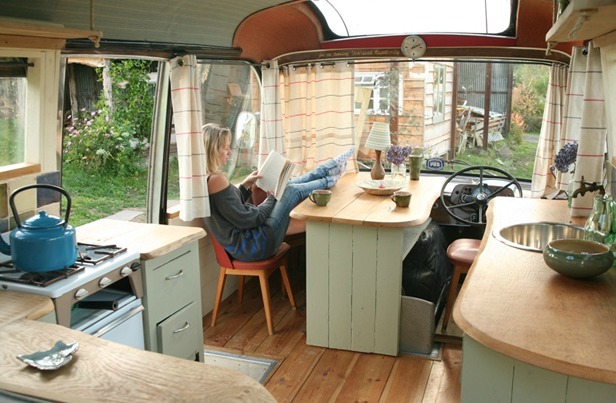 The home can comfortably fit up to four adults. 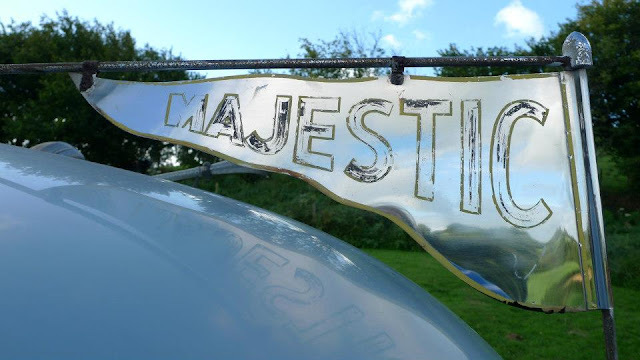 For energy, the Majestic Bus has solar panels on the roof to power the lights and electrical sockets. There's no plumbing in the house, but there is a wooden bathhouse just a little ways away. 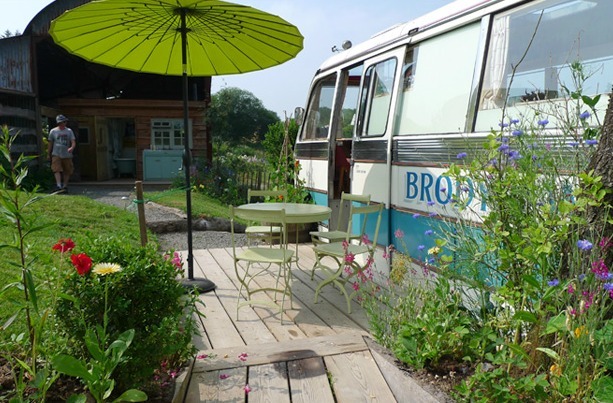 The bus is available for rent, for two people, from £90 - £145 per night, depending on the time of year. 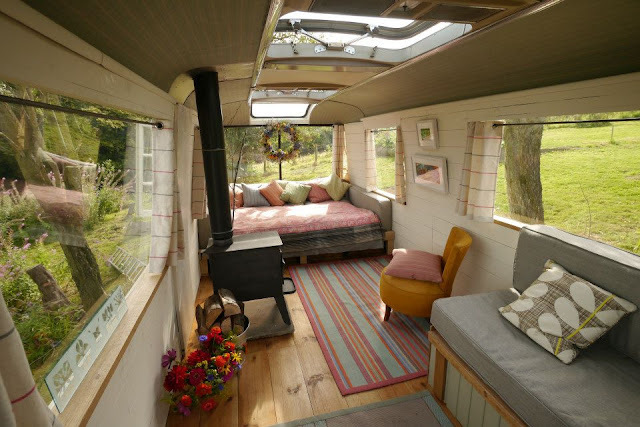 Extra people can be invited along for an additional fee. In addition to the four adults that can stay in the bus, there's also room for another 4 to camp outside the bus.